Width (side to side) 148"
Height (bottom to top) 37"
Depth (front to back) 115"
With an array of sectional pieces to choose from, its no hassle at all to build a sofa hangout space the entire family will love. This arrangement is for families or singles who love to entertain, boasting ample seating spaces to gather people together at your next gathering. 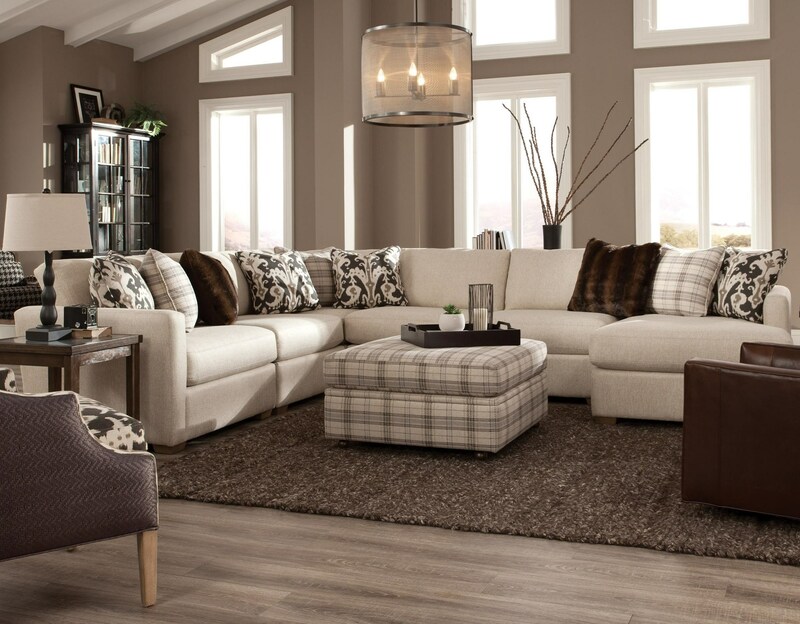 A sleek and simple look is crowned with a pile of toss pillows and extra-deep seats to guarantee instant love and sofa devotion.